How many websites do you think we click on every day in the United States? Get this: on average, we do about 12 billion searches a month online in this country. We all know the reasons for skipping over one website and moving to the next. Sometimes it’s because the information simply isn’t there, but often it’s because the website design is clunky or it takes too long to load or it’s difficult to navigate. We want answers fast and when that’s too challenging in one place, we have the world at our fingertips to find another. So if you’re wondering “Why do I need a web designer?” there are about a thousand different answers to that question. Hiring a professional web designer can make a huge difference to your business. We’re picky consumers. Research shows that you have about 10 seconds to make a good first impression on those browsing your website and to tell them what they’ll get out of your website — and your business. Sometimes you don’t even get 10 seconds before they click away! So you want those 10 seconds to be as impactful as possible. We usually read only about 28% of the content on a web page, so you want the good information up front. And under 50% of users say that if they arrive on a site that isn’t compatible with their cell phones, they assume the business doesn’t care. Good web design addresses all these issues. They get all the information up front in a visual way that readers can skim (indeed, 70% of people looked at bullet point lists versus 55% of people who read un-bulleted lists), they make the design easy to navigate and ensure that the website is mobile compatible. If a website looks outdated, we assume they’re amateurs; that no one has bothered to update the website, and we move on, thinking that the quality of the business or services offered is likely similar. This isn’t what you want! Let your web design work for you, not against you. The majority of people don’t know much about putting a website together that checks all the necessary boxes. We might be able to build a rudimentary WordPress or Blogspot website, but that’s about it. And when it comes to redesigning a website — well, we might find ourselves a bit out of our depths. So when you’re asking “Why do I need a web designer?” it’s because you need a professional to take you the extra mile. They’ll make sure that your site is SEO compatible, they might engage PPC services, ensure that you get the right SSI certificates, and that the site speed is quick. They’ll know what’s working for the latest aesthetic appeal for websites and be able to build you something that looks modern and fresh, with all the components you need. And, they’ll likely be able to do it in half the time you could! Why spend time and energy (and probably a lot of frustration) on something that someone can do for you quickly and professionally? Once your website is built (or redesigned), be aware that you can’t just set it and forget it. 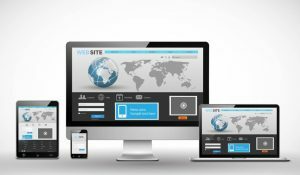 It’s important to make sure your website is staying up to date, and that you’re more or less on top of the latest web trends. Whether it’s something as simple as a contact form or a bit more involved like chatbots, you want to make sure that your website is competing at the same level of others out there. It’s worth engaging a professional web designer for an update every few years and paying attention to what other successful websites are doing. Keep your eyes and ears open for new ideas! Your website should be generating hits and sales, not making people navigate away from your business! Don’t ask “Why do I need a web designer?” Hire one!